The orthodontists at Kristal and Forche Orthodontics and our team thought it would be interesting to share with you the history behind Halloween. 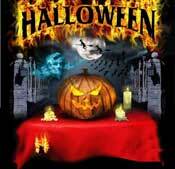 Did you know that Halloween is one of the world’s oldest holidays? Throughout the years it has gone through many changes. It was originally a Celtic festival called Samhain (pronounced sow-in). It marked the end of harvest and the beginning of the new year (November 1st). Centuries ago, the druids believed that ghosts and spirits roamed the earth at this time, and they lit bonfires as protection against the evil spirits. At Kristal and Forche Orthodontics we want our patients to enjoy the holiday traditions. Please keep in mind our recommendations and have lots of fun! Watch this video on YouTube which discusses the best candy to eat while wearing braces sponsored by the AAO.